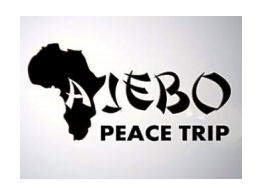 Connecting Angels is proud to be one of the sponsors of the Ajebo peace trip, to provide food to the marginalized children left orphaned and destitute in Kolofata, following the attacks of Boko Haram in Cameroon. 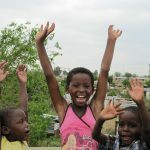 We are committed to our mission of bringing peace to the world, through our efforts to eradicate poverty one meal at a time, one orphan at a time. 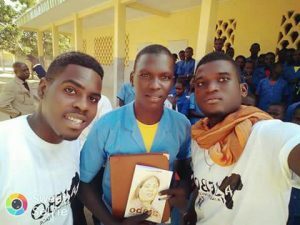 Please read about the project as it is ongoing, pray for Momo Bertrand and the team of brave youths who came up with this project of service. Here is the story, we await updates, but once more, here is Connecting Angels lighting a candle for those who lost their lives and doing what we can, to participate in a project of peace. Join our efforts through your generous donations, so we can feed more orphans in other parts of the world this Holiday season especially. A tax-deductible gift of any amount goes a long way. Thank you. 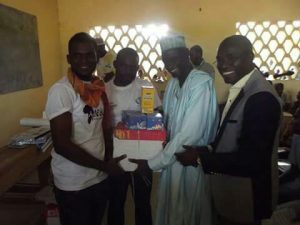 Ajebo Peace Trip Mindful of the instability in the Extreme North due to the Boko Haram terrorist attacks, the Ajebo team embark on a trip to kolofata to provide aid to the youths of the afflicted communities. 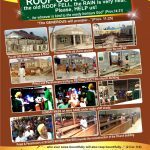 The aid in form of educational material, nutrition and leadership training would be provided to some 200 youths of the afflicted communities from the 2nd- 7th of December 2016. 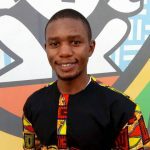 The trip is born of the fictional novel Ajebo, a ​T​ ale for Peace by Momo Bertrand who talks about the quest for peace by Akim, a Boko Haram victim Purpose The campaign attempts to provide hope and relief to the youths of Kolofata. 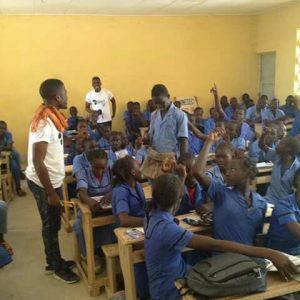 Africa progress alliance the umbrella organization of the campaign in close partnership with Connecting Angels and Education Sans Frontier, seek to: ● Improve the living standards of some 200 youths via the material donations. ● Contribute to national peace by empowering the youths to be actors of change and advocates of peace through the leadership training. ● Provide remedial socialization to alleviate the psychological trauma caused by the terrorist attacks. ● Encourage learning among youths through the donation of educational materials. About the Novel ​Ajebo Ajebo is a short allegorical novel set principally in Kolofata, in Northern Cameroon. It is centred around the epic journey of a young Kolofata boy, Akim, who is forced to flee his village following a Boko Haram attack. 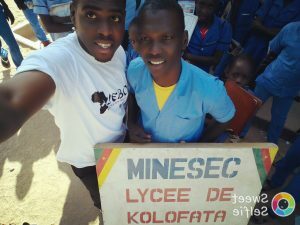 Akim’s experiences, encounters and challenges are used to transit one core message, peace is possible. The Author, Momo Bertrand, fitted the text with Cameroonian idioms and pidgin words.